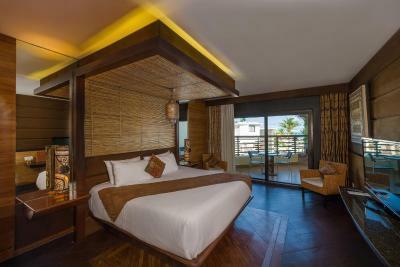 Lock in a great price for La Divina by Aldea Thai – rated 8.6 by recent guests! Service was excellent. Renee and Chuy were very accommodating and helpful. Hotel is in a great location. Staff and especially the front desk lady that worked during the day was very helpful and very professional. She had answer to all our questions and was knowledgeable about Playa Del Carmen and surrounding areas. 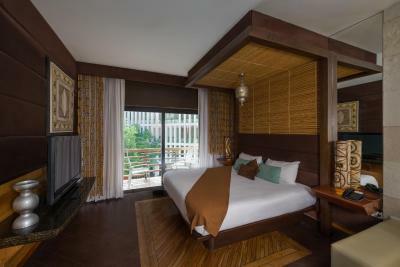 The room was amazing, very clean, great bed, good design and layout. After our day at the beach we always came back to a very clean room. Housekeeper did an amazing job. Overall a good experience. 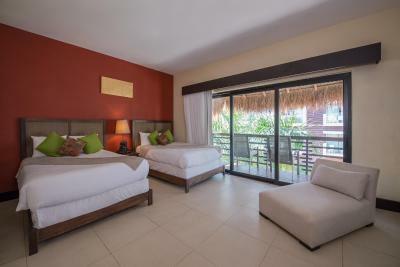 Clean & comfortable rooms. It is not direct Beach access like some of the pictures show. You need to go to the street then walk a couple hundred meters. The "ocean View" was more like a street view with 1/10th of the view ocean. The pool was very nice for little kids (under 3) as it was nice and shallow but the tiles were coming up and they had a "fix it crew" trying to glue them back but they would just come right back up. The AC was good, sound wasn't to bad at night with AC going. 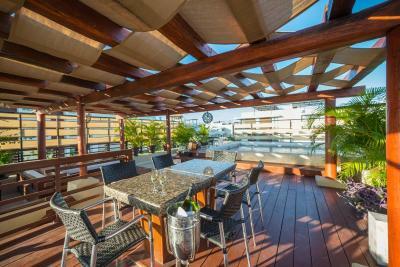 You are close to 5th Ave and in walking distance to good Restaurants like El Fugon and Tostada. 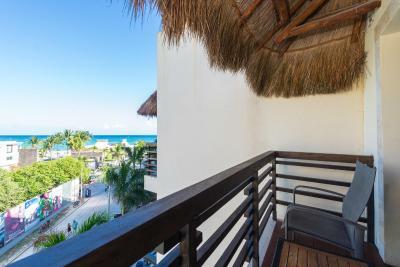 The condo is amazing, but in the pictures it looks like the property has direct access to the beach, which it does not. Excellent staff - amazing views ! 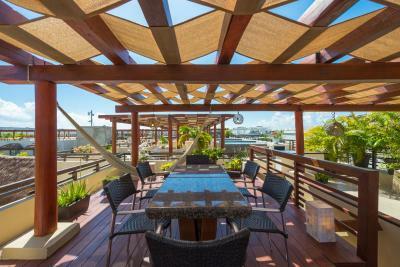 This hotel has so much character and for the price it was miles ahead of the competition. 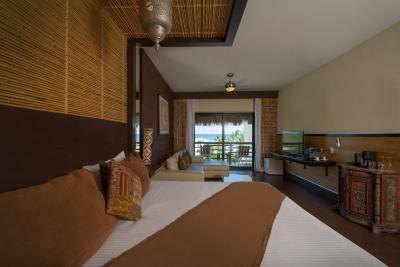 Rooms are kept in good condition and the hotel is literally right on the beach! Everything was top notch, staff was very helpful and hotel was beautiful. Location was good but very limited ocean view from our room. 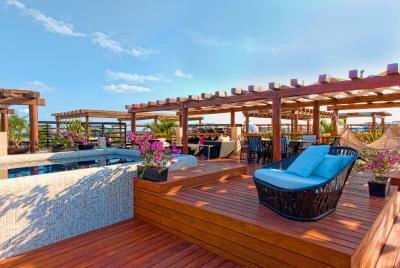 There are two beach clubs in front of the hotel so you are not directly on beach front. 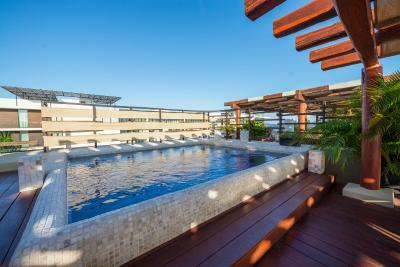 La Divina by Aldea Thai This rating is a reflection of how the property compares to the industry standard when it comes to price, facilities and services available. It's based on a self-evaluation by the property. Use this rating to help choose your stay! 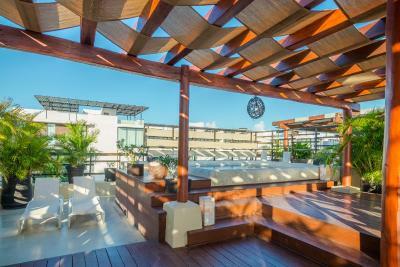 One of our top picks in Playa del Carmen.This elegant and sophisticated property set in Playa del Carmen offers an outdoor swimming pool, free Wi-Fi access, and is located only 550 feet from vibrant 5th Avenue and 30 feet from the white-sand beaches of the Caribbean. 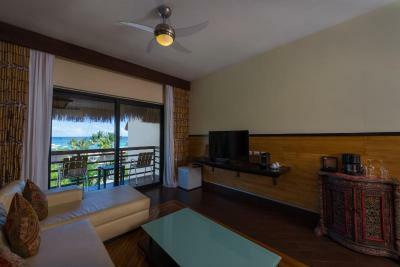 The spacious and comfortable apartments have a modern décor and feature balconies offering partial ocean view, flat-screen TVs, cable channels and a fully equipped kitchen, plus seating and dining areas. 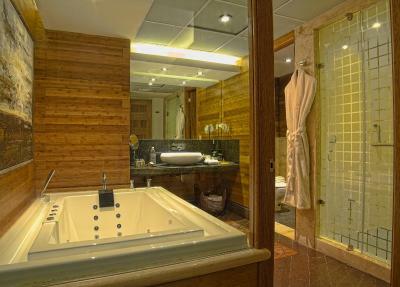 Toiletries are provided within the bathrooms with showers. 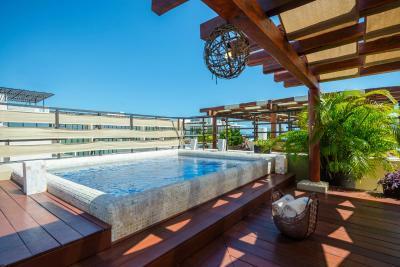 The penthouse apartments feature roof top terraces with private plunge pools. 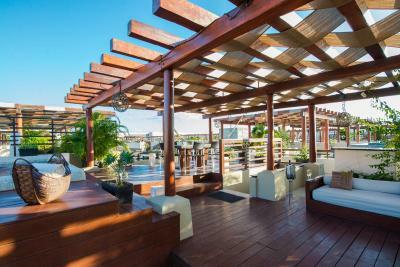 Popular 5th Avenue offers a wide variety of restaurants, bars and nightlife entertainment. 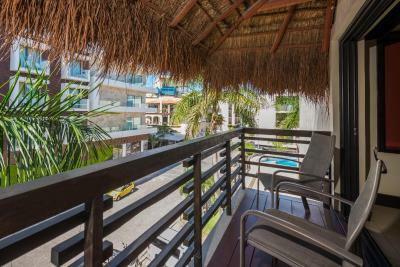 Also, Mamitas Beach Club, Kool Beach Club & Coralina are located in front of the property. 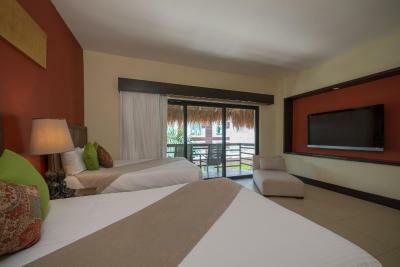 The friendly staff at La Divina by Aldea Thai can help the guests with information about interesting touristic spots, like Tulum Archaeological Site, or Xcaret Nature Park, both reachable in 45 minutes and 15 minutes’ drive respectively. 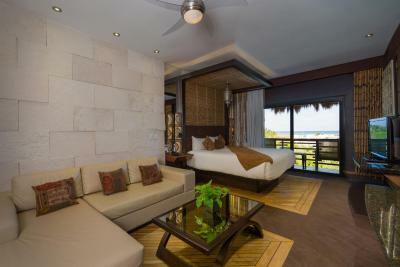 Activities like scuba diving, golf and snorkeling can be arranged, extra fees might be applicable. 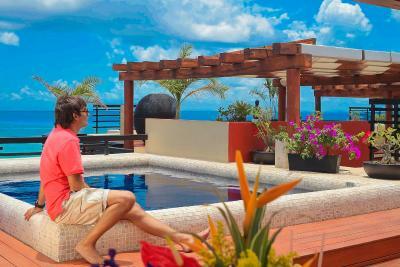 When would you like to stay at La Divina by Aldea Thai? 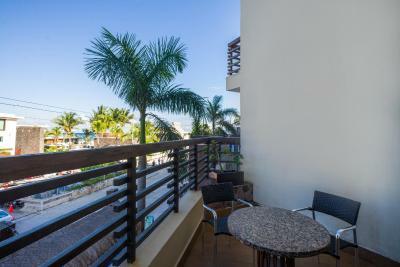 Modern and elegant apartment with partial ocean view; has a fully equipped kitchen, seating and dining areas, as well as a furnished roof top terrace with a private plunge pool. The amenities include a safe, flat-screen TV, and telephone. 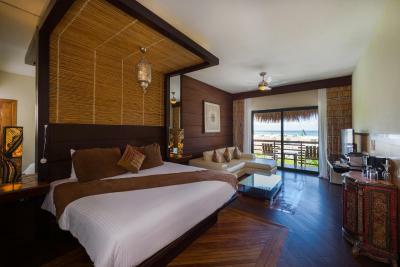 Main bedroom has a king-size bed and second one has two double beds; both with a full private bathroom. 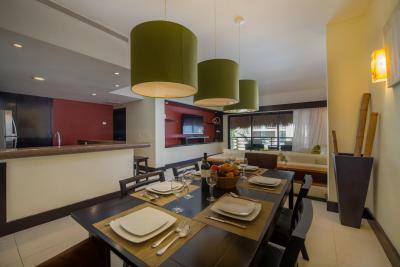 This modern suite has a kitchenette, seating area and a furnished balcony. 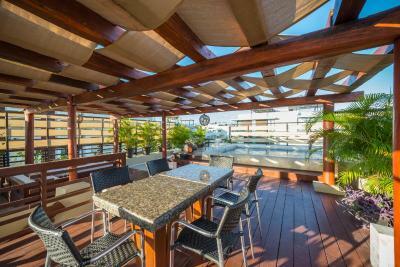 The amenities provided are a safe, Coffee maker, HD flat-screen TV and telephone. The private bathroom comes with hairdryer an all necessary amenities. 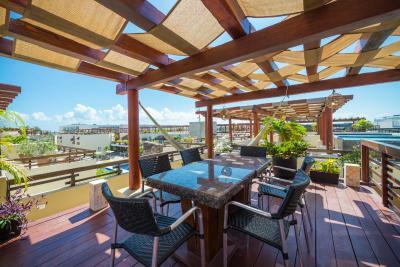 Modern apartment with street view; has a fully equipped kitchen, seating and dining areas, as well as a furnished roof top terrace with a private plunge pool. The amenities include a safe, flat-screen TV, and telephone. 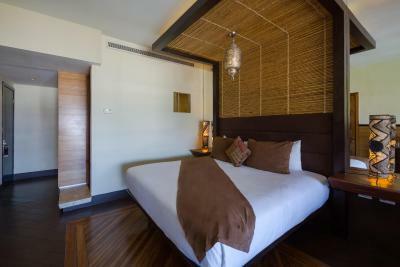 Main bedroom has a king-size bed and second one has two double beds; both with a full private bathroom. 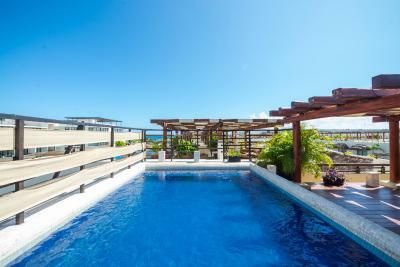 Modern apartment with partial ocean view; has a fully equipped kitchen, seating and dining areas, as well as a furnished roof top terrace with a private plunge pool. The amenities include a safe, flat-screen TV, and telephone. 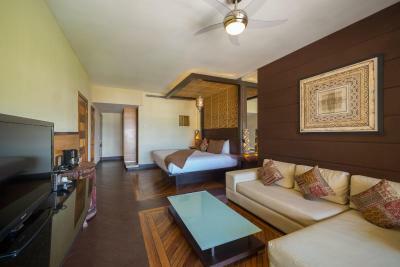 Main bedroom has a king-size bed, second one a king size bed and the third two double beds; all of them with a full private bathroom. 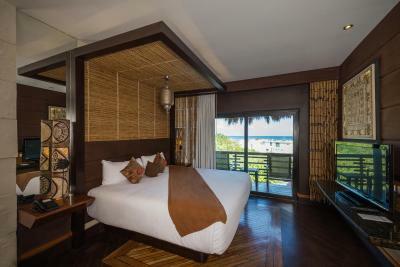 This modern suite features a furnished balcony overlooking partially the Caribbean Sea. 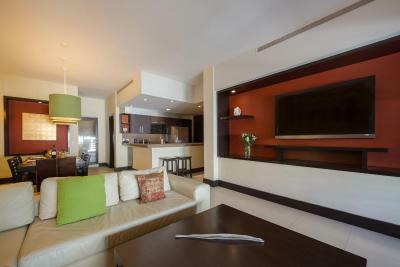 The amenities provided are a safe, coffee maker, HD flat-screen TV and telephone. The private bathroom comes with hairdryer an all necessary amenities. Kitchenette subject to availability and upon request. 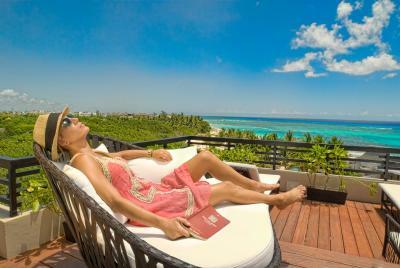 La Divina is known as the new concept of Aldea Thai Hotel, located at the best spot in Playa del Carmen. 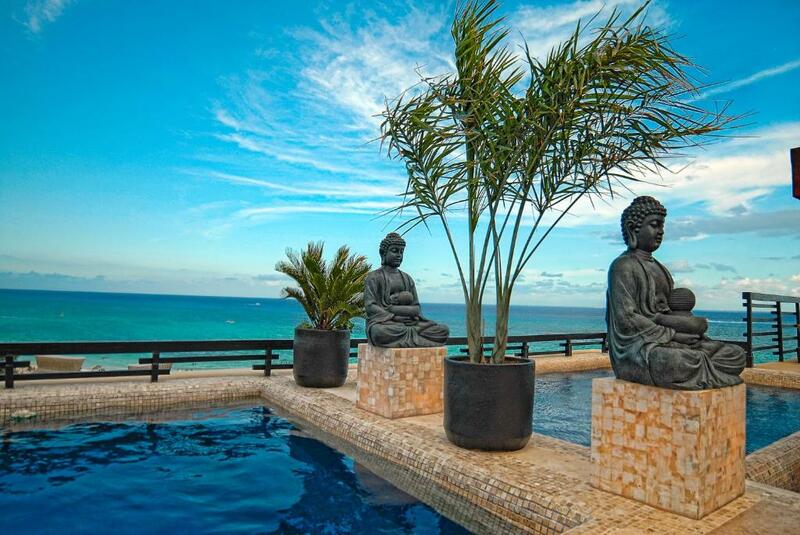 This property embraces you in a classy Thai environment mixed with the Mexican Caribbean relaxing atmosphere that creates a magical and unforgettable experience to our guests. 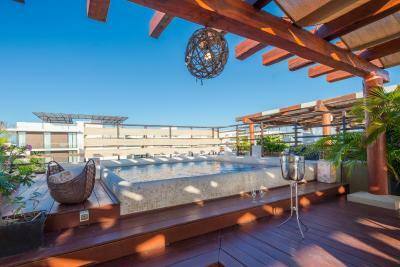 Reserve now and relax at our beautiful Studio Suites or our exclusive Penthouse Villas with roof garden terrace and private pool. 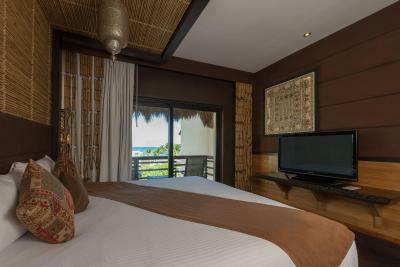 Most of our units are ocean view and our guests enjoy complimentary Wi-Fi in their rooms and public areas. 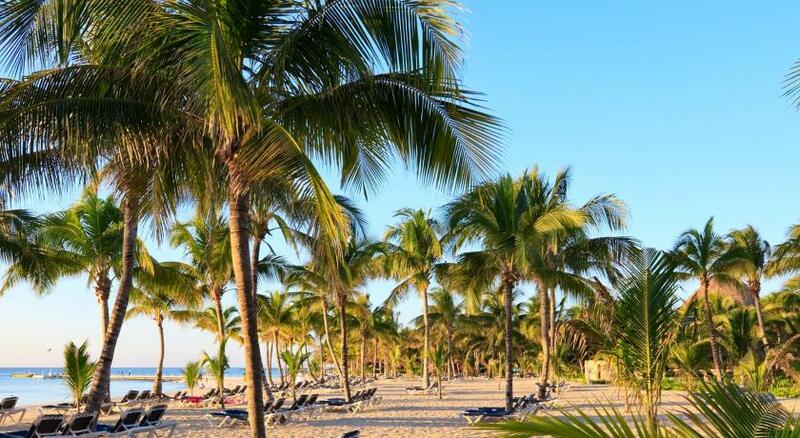 Location is unique, only steps away from the property is the famous Mamitas Beach Club, where the stunning, turquoise sea meets powdery, white-sand. 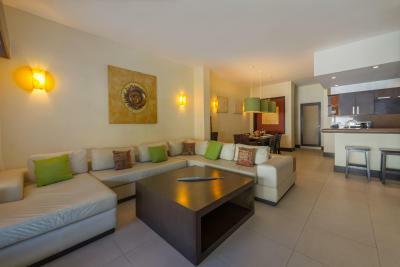 A five minute walk up from Aldea Thai is “La Quinta Avenida”, a vibrant, pedestrian-only street, with its abundance of options for restaurants, shopping, bars, spas, night clubs and live entertainment. 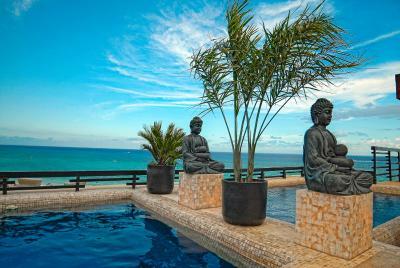 Next door to the premises are top-notch dive shops, a cross-fit gym, yoga studios and beach bars. 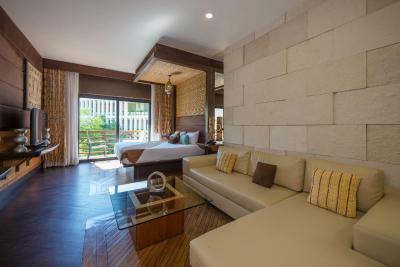 Enjoy Playa del Carmen at “La Divina by Aldea Thai” the new original boutique hotel concept within Aldea Thai Resort that shapes a personal atmosphere that will exceed your expectations with elegance and sophistication. House Rules La Divina by Aldea Thai takes special requests – add in the next step! La Divina by Aldea Thai accepts these cards and reserves the right to temporarily hold an amount prior to arrival. Please note that swimming pool will be closed during October 2018. Wonderful decoration of rooms and common areas. 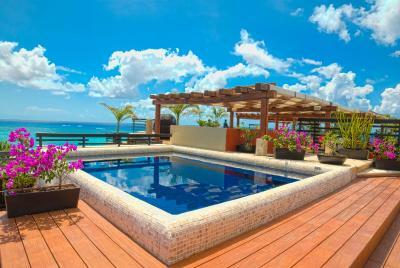 Lovely swimming pool with bar, very relaxing! Many mosquitoes At night the youngsters sometimes make noise even though they want to keep quiet after 00:00. Not much I didn't like. Limited staff hours - is an issue when assistance is needed outside those hours. Maybe some more channels in English on the TV but no big deal. Did not go on vacation to watch TV. We were awake in the morning with loud noise from a construction just outside of our room. It was bad because I went to spend the night at this hotel due a construction noise at my home...bad lucky. But for sure we will be back. Amazing place and staff. There is no breakfast available at the hotel but at walking distance there is the best breakfast of Playa del Carmen: Chez Celine. The check in was great with Belem. Great service. 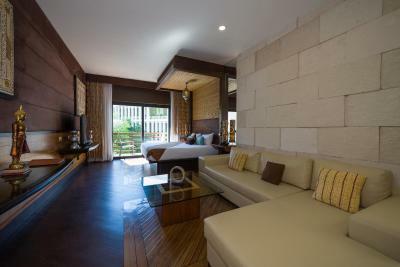 The facilities are amazing and amenities and rooms are excelent. Nothing to complaint about it. Check out was smooth and effective. Rene was very polite, helpfull and service oriented. I forgot a shirt in the room and Rene called me on my phone after I had left the hotel to let me know she had it. Great. The location was great, right on the beach. The pool and pool bar were fabulous. The staff were really friendly and so helpful. We did not like The Hotel in terms of value for money. It complete disappointment, well expect the room itself (where we were not staying over days). We paid 342 USD for what supposed to be five-star-hotel. But I cannot give it even 4 stars in compression to the benchmark existing in Miami or in any European city. 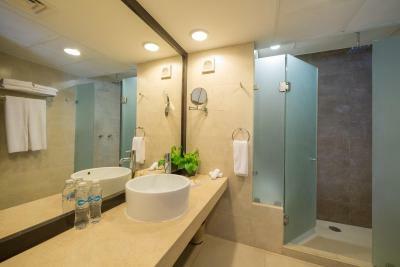 It is started from following: (1) You arrive in hotel and see fancy entrance up with the stairs, however you are being taken to a small room on the ground floor to do check in. No drinks, no refreshment is being offered (hello 5* hotel?) (2) When doing check in you are being asked to provide you card details, even though booking was pre paid. In Details I means, they ask – card holder name, name, cvc code. I am long time ago in banking with the legal background and can absolutely contest this is against at least several data/privacy protection laws (not saying anything about GDPR in Europe)! When we tried to object we were told that “this is not a problem, because we will return you a paper when you will be doing check out and this is needed just to have you credit card details in case you will broke something in hotel”. Hello 5*??? The paper was not given back... (3) Facilities of hotel were not good. Or at all corresponding to 5*. 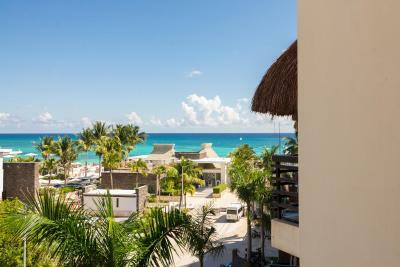 Elevator with no air, pool requires renovation (i) Hotel does not have access to the beach! You need to pay appx 400 pesos (by discount provided by hotel to the beach club located not in front of hotel) to access “beach club”. While in booking.com references they indicate “Beach front” So what is the purpose to indicate “beach front” if in order if I want to access beach I need to pay extra money for some Beach Clubs ? Event the promotion they gave us for one Beach Club (which was at least nice) we had to literally cross the street into another block. While they had some nicer one just in front of them. Is it so difficult to make life for their gusts a bit more convenient? We liked staff of hotel. Both when check in and check out they were very friendly and helpful. We liked our room which was very good, with full kitchen equipment. Parking experience was also nice. Two little things for improvement - the pool needs some serious maintenance and cleaning, and the room had an unreasonable amount of mosquitoes. Other than that everything was great. 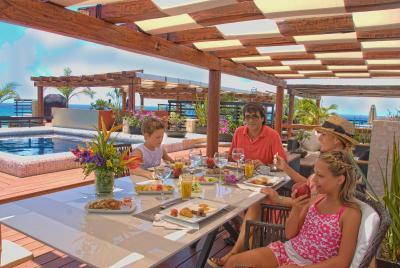 The hotel is perfectly located, near the beach and a 2 minute walk to fifth Avenue. The room was very spacious and comfortable. Excellent soundproof windows. 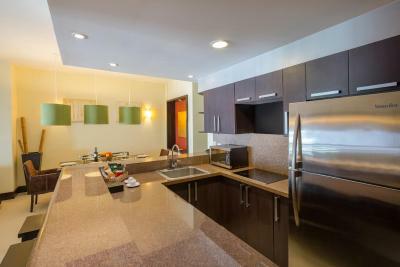 Great kitchen with all the facilities and a kiosk right down stairs. The pool is amazing! (though it could use some maintenance) and the food and beverages served at the pool bar were great - the pool staff is simply the best! We really enjoyed our stay and highly recommended the hotel.